Is it snowing in Bear Valley ?Bedankt! Bear Valley is in California's Sierra Nevada, located between Lake Tahoe and Yosemite. 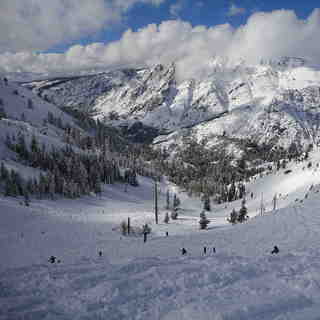 It enjoys 10m (30 feet) of snow in an average season, backed up by 100 acres of snow making. 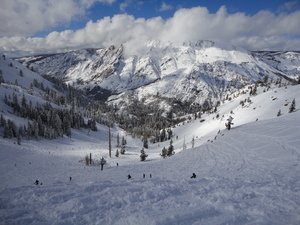 Bear Valley is suitable for all abilities. The season is from mid-November through to mid-April. Very extensive terrain parks and a pipe coming soon. Further information for our notes about Bear Valley are welcome. Great place. No lift lines and great snow. Can snow up to 4 feet which is great fun, but often snows 1-2 feet. I stayed at powderbears log cabin which is a great place to stay and had a great time. I'd recommend staying there.